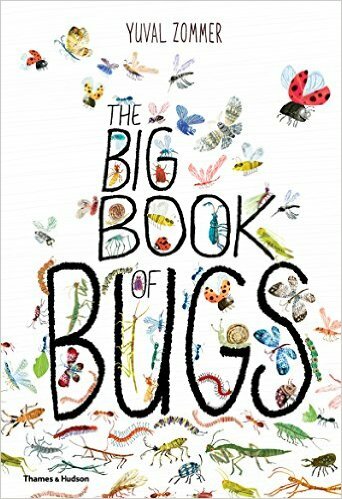 If any book can make a bug-lover out of a squeamish reader, The Big Book of Bugs by author/illustrator Yuval Zommer definitely can. Top to bottom, back to front, everything about this oversized book is lively and fun. 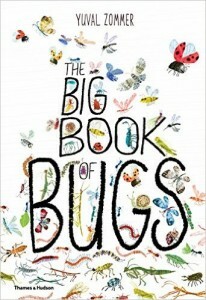 First, the book’s cover grabs the reader’s attention by presenting a swirling, twirling, climbing, crawling swarm of colorful insects that are just begging to be counted and identified by inquiring little picture book lovers and the adults who read to them. Inside, the pages burst with leafy colors of spring, and bugs of every size and sort imaginable—beginning with a smiling blue fly that the author challenges young readers to find on at least 15 of the many pages in the book. Following this challenge are micro-lessons that every bug-lover should know, like what bugs have in common, what bugs think of people, why some bugs bite, and why all bugs are not the same. Next there is a “bug family primer” to educate young bug inspectors on the differences between insects, snails and slugs, centipedes, millipedes, worms and spiders. From there the book offers individual close-ups on everything from beetles and butterflies to ants, dragonflies, crickets and night-time bugs. Children learn why ladybugs’ wings are so bright, how a butterfly smells, how ants talk, why bees buzz, what termites build, and why flies like to buzz around food. Children even learn how pond bugs walk on water, how snails have eyes on the tips of their feelers, and how earthworms help plants to grow. 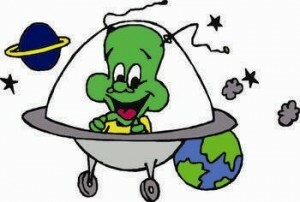 And all the while, Mr. Zommer challenges children to tweak their attention to detail by asking them to find random things, like the blue fly from the beginning of the book, or an insect that looks like a twig (walking stick) or a nimble dragonfly that has managed to catch its dinner in mid-air. This is one of the most adorable science and nature books out there, and its insect-stuffed pages are some of the most colorful and encouraging that a budding entomologist could ever want. This book should do well as a lap book for bonding, a handbook to prep for a backyard safari, or as supplemental reading in a pre-k or early elementary science, gardening, art or environment class. Best wishes and happy bug-watching! 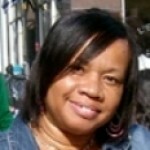 I am a former special education teacher, and am currently a full-time children's writer, book blogger and freelance editor. I earned the 2014 SCBWI Letter of Merit for an unpublished multicultural novel; I am Lee and Low Publishers 2012 New Voices Award Winner. I am the author of Getting a Job in the Food Industry, Getting the Most Out of MOOCs, and The Right Health Care Degree for Me, all published by Rosen Publishing, and Playwriting, published by Cavendish Square in January, 2017. My first picture book, Hammering for Freedom: The William Lewis Story (Lee and Low) will debut in 2018. My second picture book, The Oldest Student: How Mary Walker Learned to Read (Random House) will debut in 2019. I penned African Americans of Chattanooga: A History of Unsung Heroes, and I review books for The New York Journal of Books. Thanks for visiting! Because Everybody Loves a Good Picture Book. Gleep!